So this is a series that I've been wanting BITM to highlight for a while now. And even though the crew is shifting some resources to make this podcast happen, we want to make sure we keep giving our day ones that hip hop uall come to expect from us. Since Nas purchased Mass Appeal (which started solely as a graffiti magazine) in 2013, the Queens Bridge legend has been expanding the imprint into a label that provides multi media for all hip hop heads. One of their video series is called Rhythm Roulette, which is described as "an innovative look into spontaneous beat-making and producer culture". The premise of the series is: they choose a producer, have them pick 3 records while blindfolded, and have them make some beats sampling the records they selected. 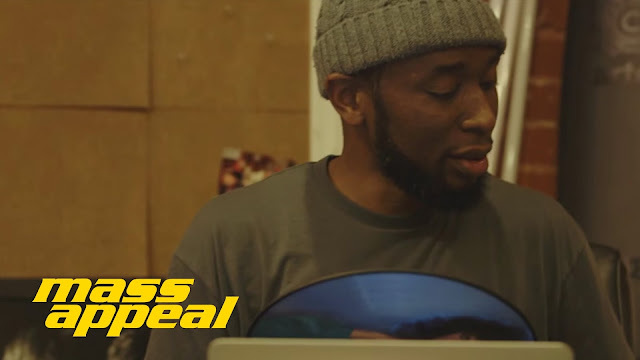 A few months ago the highly anticipated 9th Wonder episode premiered. The NC native hit up The Record Crate in Raleigh to pick out his records. His three records where: Charly McClain - On Tour, Jermaine Jackson - Jermaine Jackson [Dynamite], and The Temprees - Lovemen. 9th ended up making three soulful beats. And if that wasn't enough, Jamla's first lady Rapsody stepped in the booth and dropped a few bars. I've probably watched this episode a dozen times, and I've caught something new every few times. So, if you're a true hip hop head, someone who is interested in beat making, or just a 9th fan, peep this joint ASAP. And if uall like it, let us know and we can dig through the series and highlight some more producers. I am also adding the first Rhythm Roulette episode with Party Supplies.